I absolutely love this moment from Mariah and Beau's wedding. As Mariah and her Dad walked down the sailboat's aisle, they had this moment which is so precious. 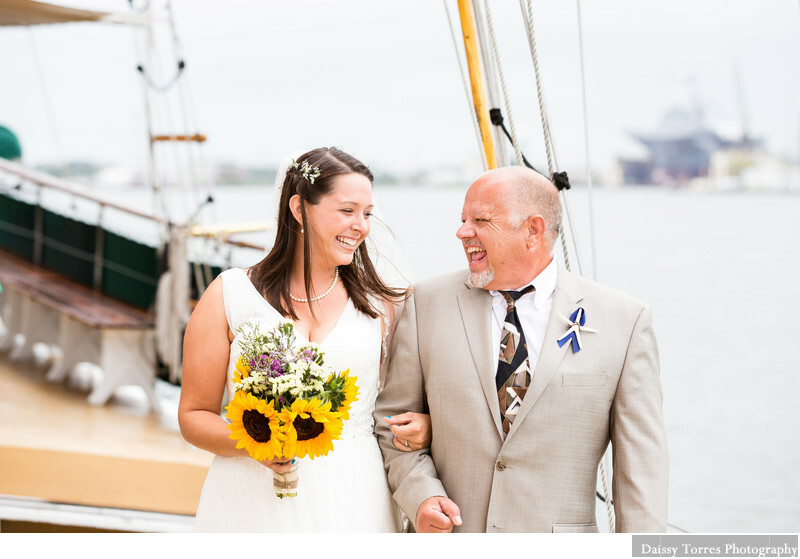 Coming from a family of ocean lovers, Mariah and Beau decided to have their meaningful ceremony at the American Rover in Norfolk, Virginia. Location: 333 Waterside Dr, Norfolk, VA 23510.